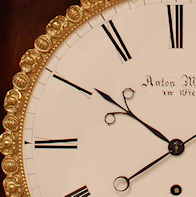 Welcome to the website of FJ & RD Story Antique Clocks, established 1990. 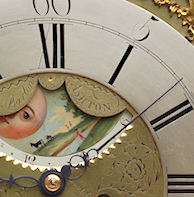 We offer a good selection of expertly restored antique clocks at affordable prices with a full authenticity and movement guarantee. 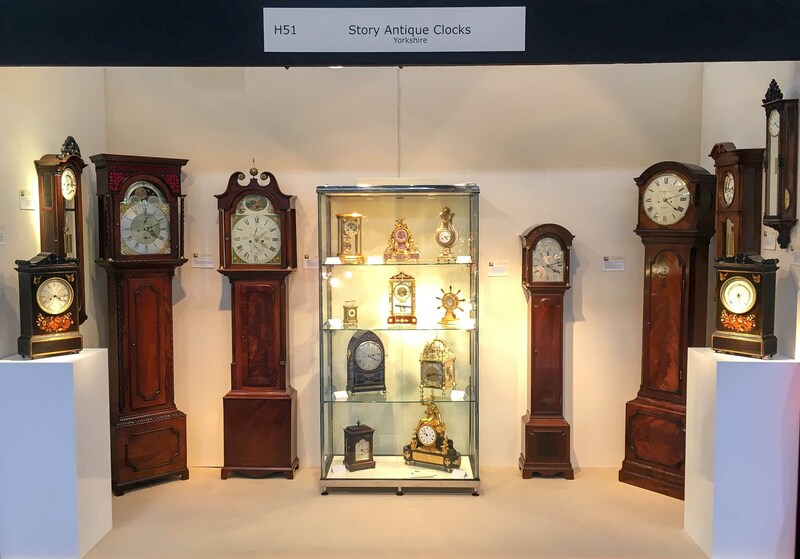 We provide a selection of antique longcase clocks, antique regulator clocks, antique marine chronometers, antique bracket clocks, antique wall clocks and antique barometers. 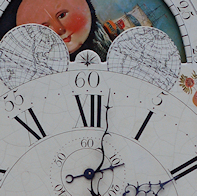 painted dial clocks, moonphase/automata clocks and white dial clocks. Our stock consists of the finest examples of Georgian, Regency and Victorian period styles. Visitors are welcome to view our stock, by appointment, at any time. We are based in Rotherham, South Yorkshire, United Kingdom, in close proximity to Sheffield, Doncaster, Barnsley, Chesterfield and Wakefield, and are easily accessible from the A1(M) and M1 motorways. We also exhibit at the NEC "Antiques For Everyone" fair, Birmingham, and other quality fairs. See the fairs diary page for more details. If you do not see what you are looking for please do not hesitate to contact us and we will endeavour to assist you. In order to receive further information on our current stock please contact us. Delivery and set up is included in the price for all UK mainland deliveries. All clocks are carefully delivered and fully commissioned by ourselves. For overseas customers a fully insured shipment can be organised direct to your door for most locations in the world. 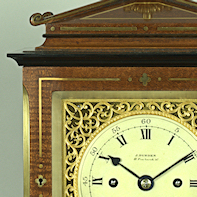 Click here to view our clock export guide. All of our clocks are mechanically guaranteed in writing for twelve months and are genuine examples restored to the highest standard.